You are here: Home » Blog » Guidance and Advice » Could your electrical adaptors be ready to burn down your business right now? 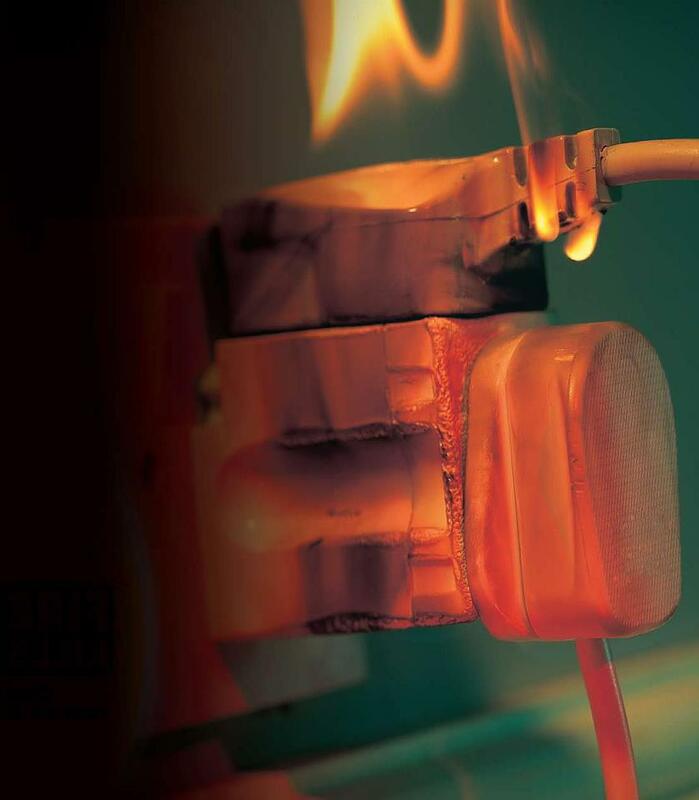 Could your electrical adaptors be ready to burn down your business right now? Electrical adaptors in workplaces have become so commonplace its unreal! The problem is that 3 or 4 places to plug in doesn’t mean that sticking 3 or 4 plugs in to them is safe. Far from it! All bar adapters are rated to 13 amps and that means its all they can safely take. So if you were to plug in a TV, video, lamp and satellite box your pretty safe as that = 12 amps in total. The issue arises when we plug in appliances combined that are rated at more than the 13 amps they can’t cope with then they draw too much current and start to overload and overheat. It’s just a matter of time before they fail and start a fire! Take a look below at our list to see what appliance has what size of fuse in it and after that its just a matter of simple arithmetic. Try out this calculator and see for yourself whats going on in your place. Better still do a quick survey right now and work out which adaptor has the ability to burn you down right now “I dare you”. Seriously please go and look and take action quickly and if you need more sockets then pay an electrician to fit more double sockets into your fixed installation. Its a small price to pay for a successful business I’m sure you would agree!! Arrange a free fire safety check to help. This entry was posted in Guidance and Advice and tagged ayrshire, electrical, Fire, fixed installation testing, glasgow, lanarkshire, PAT testing, renfrewshire, Safety, scotland. Bookmark the permalink.